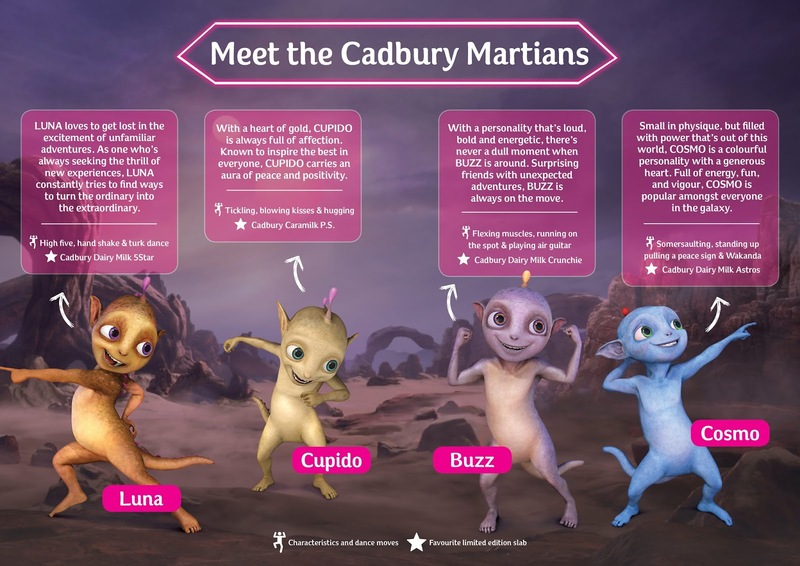 “In celebration of the new campaign, we teamed up with LikeDigital to turn the new limited-edition chocolate wrappers into an augmented reality storytelling device for the Martian figurines. Using product design and innovation through packaging, we have improved customer engagement – with meaningful and enticing interactions,” says, Grant van Niekerk, Chocolate Category Lead, at Mondelez South Africa. Mondelēz International, Inc. (NASDAQ: MDLZ) is building the best snacking company in the world, with 2017 net revenues of approximately $26 billion. Creating more moments of joy in about 160 countries, Mondelēz International is a world leader in biscuits, chocolate, gum, candy and powdered beverages, featuring global Power Brands such as Oreo and belVita biscuits; Cadbury Dairy Milk and Milka chocolate; and Trident gum. Mondelēz International is a proud member of the Standard and Poor’s 500, Nasdaq 100 and Dow Jones Sustainability Index. 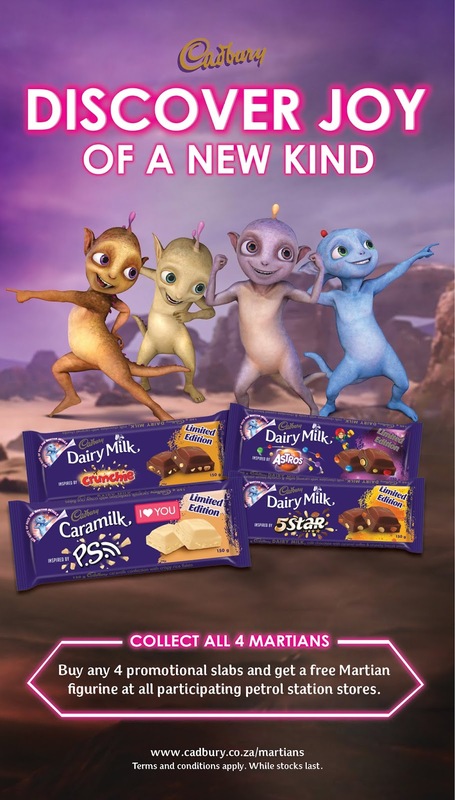 Visit www.mondelezinternational.com or follow the company on Twitter at www.twitter.com/MDLZ. Mondelez South Africa is the largest confectionery business in South Africa, enjoying market leadership in the chocolate, chewing gum and bubble-gum categories. The company’s portfolio includes some of the largest snacking brands in the world, such as Cadbury Dairy Milk, Halls, Oreo and Stimorol gum. Also, Mondelez SA is the custodian of iconic and well-loved local brands such as Chappies bubble gum, Chomp, Lunch Bar and Dentyne chewing gum. The company has a presence in some countries in Southern, Central and Eastern Africa where it invests in growing these markets.